It still feels a lot like winter in Minnesota. The kids frolicked in a fresh blanket of snow before school, while my husband pulled out the snowblower to clean off the driveway before work. It’s 20 degrees, and my feet are perpetually freezing these days. While I pop my vitamin D tablets and daydream about lazy days on the lake this summer, I’m getting desperate to see some actual greenery. 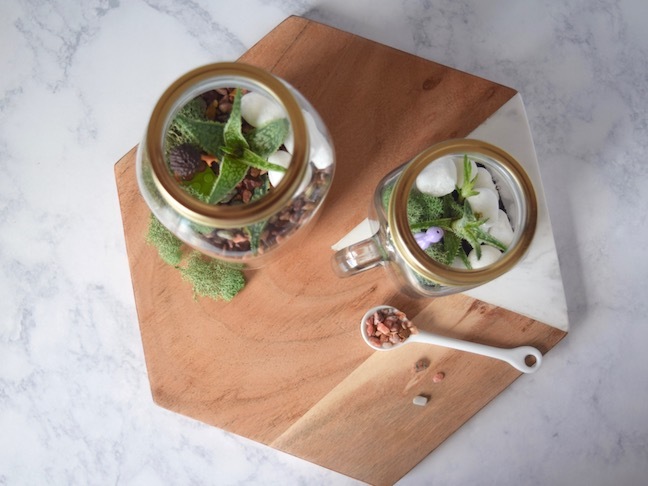 So, the kids and I decided to bring a little green goodness into our home with DIY mason jar terrariums. 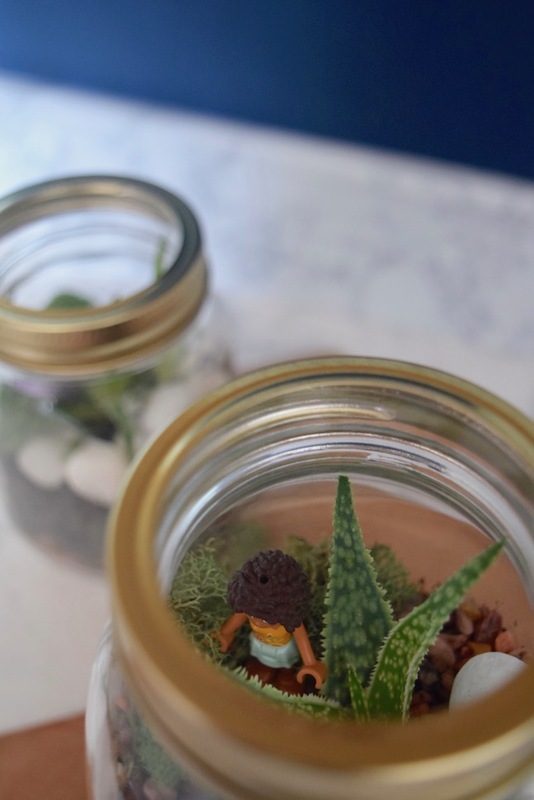 I found a couple of old mason jars in the basement and grabbed a few other supplies so we could makes these kid-friendly, super affordable terrariums on our snow day. 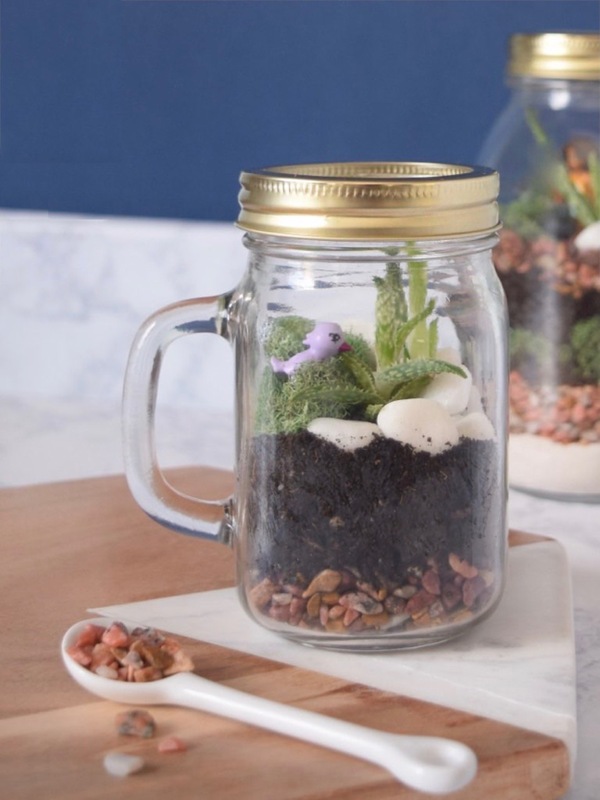 If you’re expecting a picture-perfect mason jar terrarium that looks like it came out of a catalog, this isn’t the tutorial for you. 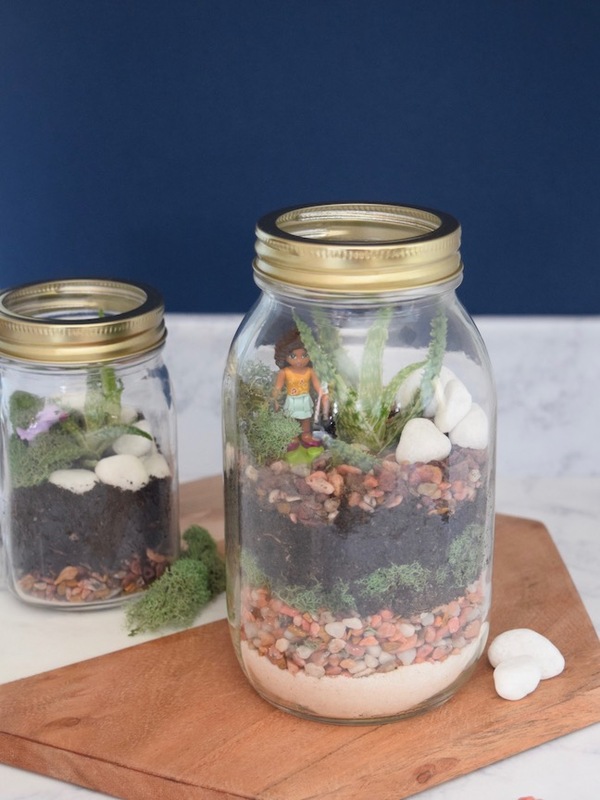 This DIY mason jar terrarium how-to is so simple that a child could do it. My girls got their hands dirty, their minds racing, and their creative juice flowing as they designed mini living quarters for their little toy friends. 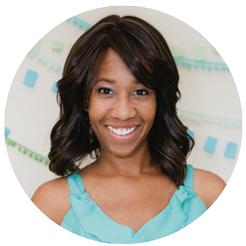 Step 1: Pour about 1″ of white sand onto the bottom of a clean, dry mason jar. Gently pat to level the sand. Step 3: Add a layer of small pebbles to fill in the gaps between the large stones. Pat pebbles to level out the layer. Step 5: Add a layer of moss to keep the next layer (soil) from seeping down to the bottom of the jar. Pat moss into place. Step 6: Add about 2″ of potting soil to the jar. Gently arrange the plants into the soil, and pat soil around the roots. 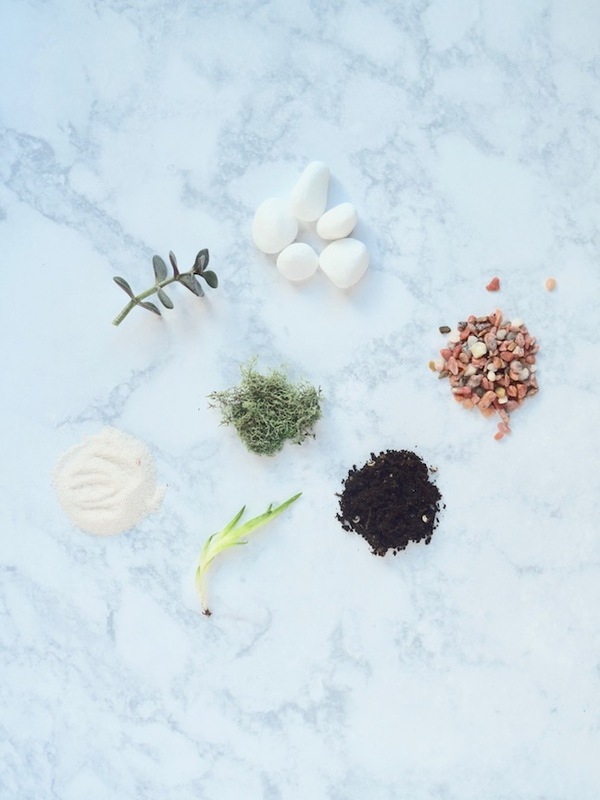 Step 7: Add a few more small pebbles, clumps of moss, and other ornaments (small toys, shells, or figurines) to design a unique look for your garden.